Get to know the man behind one of Saratoga's most entertaining venues—that doesn't feature horses. Need a respite from the horses or Caroline Street this summer—or just a fun diversion after a tiring workday? Saratoga Strike Zone has you covered with, of course, its bowling lanes, a full redemption arcade, Ballocity ball pit and bumper cars. We recently had a chance to talk with Saratoga Strike Zone’s proprietor, Rich Sheldon, about his local staple, and what it’s like working in the entertainment business. I started in the bowling business more than 30 years ago in Burlington, VT. It was a part-time job to assist with college tuition. I ended up staying with that corporation for 20 years and was relocated to New York by them. Saratoga is in the area I was responsible for, and when they decided to pass on it, I continued the conversations, and as they say, the rest is history. I’ve been at Saratoga Strike Zone for just over 10 years now. I liked Burlington, but I love Saratoga. The community has been very supportive. It has a “safe small town” feel, yet everything to offer. There are resources readily available to small business operators to assist with all aspects of running their business. What sets Saratoga Strike Zone apart from the other like-minded businesses in the Capital Region? There are a lot of businesses vying for the recreational dollar, but when it comes to bowling, there’s no comparison. 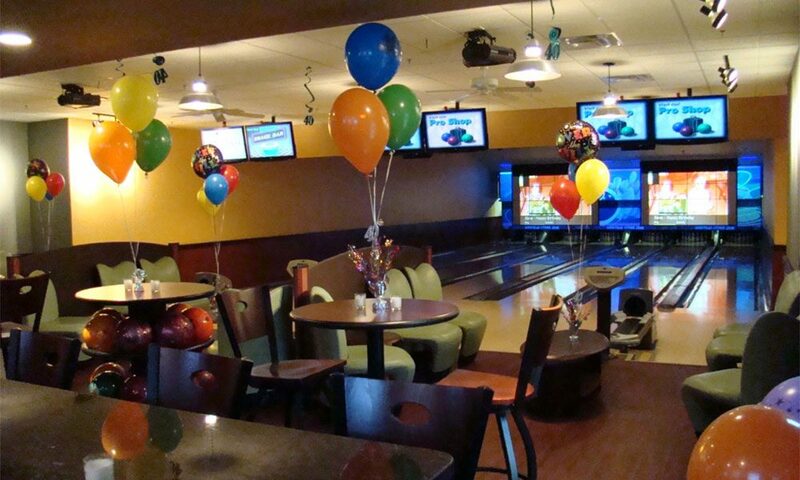 Most bowling centers around are just bowling centers, but we are a family entertainment facility. We offer so much more than just bowling. We have bumper cars, a Ballocity ball pit, redemption arcade, six-lane VIP suite and a complete sports pub. What’s your favorite part of running Saratoga Strike Zone? It always has been, and I suspect it always will be, seeing the smiles on everyone’s faces and listening to their unique stories. I hope the community is as proud of our efforts as we are to part of it. I hope they recommend us unconditionally!